Amidst all the blockbuster films hitting the big screen this summer, there are plenty of lower key releases that deserve your time and money. One such film is a documentary that premiered at the 2014 Sundance Film Festival, and is perfect for anyone who truly loves film. 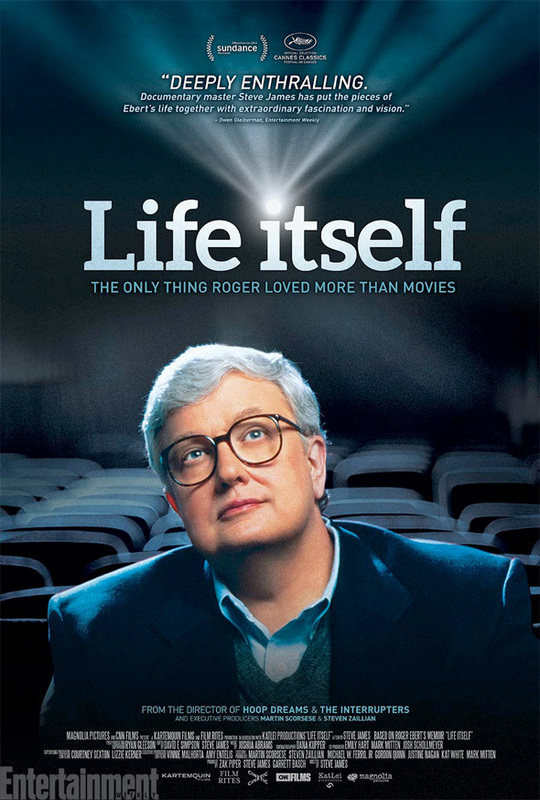 Life Itself is a documentary focusing on Roger Ebert, arguably the most influential and iconic film critic in the medium's short history. Directed by Steve James (Hoop Dreams), the film chronicles Ebert's early career up through his final years following a battle with cancer and leaving behind a legacy that has inspired many writers and filmmakers today. Look! Life Itself is directed by Steve James (Hoop Dreams). In 2013, we lost Roger Ebert—arguably the nation's best-known and most influential movie critic. Based on his bestselling memoir of the same name, Life Itself recounts Ebert’s fascinating and flawed journey—from politicized school newspaperman, to Chicago Sun-Times movie critic, to Pulitzer Prize winner, to television household name, to the miracle of finding love at 50, and finally his 'third act' as a major voice on the Internet when he could no longer physically speak. The documentary premiered at Sundance 2014 and online to Indiegogo supporters. Read Ethan's glowing review of the film here. Life Itself will arrive on VOD/iTunes and in limited theaters on July 4th. Glad it'll be available on VOD/iTunes, since the DC area seems to be bereft of 'limited release' showing theaters.